Warning! Top Secret Clam facts are about to be exposed. All over the Internet, the latest questions in response to well-known controversies at alt.religion.scientology (ARS) seems to be, "What is this bit about clams?" "Why do people on ARS think this is funny? ", and the ever popular, "Can I be in on the joke?" Well, here are some answers to all of this and more. L. Ron Hubbard late in 1952 wrote a book called What To Audit, later renamed The History Of Man. The book is still sold by the Church Of Scientology and it contains many of the basic beliefs of the Church Of Scientology. It is considered by many connoisseurs of kook literature as a true classic of kook nonsense and it is well worth looking for this book in used books stores if you are indeed interested in a book that proves that there isn't anything so stupid that people won't believe in it if it's in a book. L. Ron Hubbard in the introduction claimed it was "a cold blooded look at your last 60 trillion years." How could this be wrong? He also claimed his book finally proved the theory of evolution. The following excerpt from History Of Man is taken from the book Bare Faced Messiah by Russell Miller, a fine book for the neophyte Scientologist-watcher and clam afficionado. Thanks also to Diane Richardson who originally typed this excerpt up and posted it to ARS. In a narrative style that wobbled uncertainly between schoolboy fiction and a pseudo-scientific medical paper, Hubbard sought to explain that the human body was occupied by both a thetan and a 'genetic entity', or GE, a sort of low-grade soul located more or less in the centre of the body. To underpin his new science, Hubbard created an entire cosmology, the essence of which was that the true self of an individual was an immortal, omniscient and omnipotent entity called a 'thetan'. In existence before the beginning of time, thetans picked up and discarded millions of bodies over trillions of years. ('The genetic entity apparently enters the protoplasm line some two days or a week prior to conception. There is some evidence that the GE is actually double, one entering on the sperm side...') The GE carried on through the evolutionary line, 'usually on the same planet', whereas the thetan only came to earth about 35,000 years ago to supervise the development of caveman into homo sapiens. Thus the GE was once 'an anthropoid in the deep forests of forgotten continents or a mollusc seeking to survive on the shore of some lost sea'. The discovery of the GE (Hubbard hailed every fanciful new idea as a 'discovery') 'makes it possible at last to vindicate the theory of evolution proposed by Darwin'. Much of the book was devoted to a re-working of evolution, starting with 'an atom, complete with electronic rings' after which came cosmic impact producing a 'photon converter', the first single-cell creature, then seaweed, jellyfish and the clam. Look! Clams! Many engrams, for example, could be traced back to clams. The clam's big problem was that there was a conflict between the hinge that wanted to open and the hinge that wanted to close. It was easy to restimulate the engram caused by the defeat of the weaker hinge, Hubbard pronounced, by asking a pre-clear to imagine a clam on a beach opening and closing its shell very rapidly and at the same time making an opening and closing motion with thumb and forefinger. This gesture, he said, would upset large numbers of people. Poor little clams! Snap! Snap! Snap! Does your jaw ache, dear reader? Clams! And people pay to be taught stuff like this from silly lads who believe stuff like this. And they claim it is science! And a religion! Low level Scientologists are discouraged from reading this book and are told it will all be explained later when they are ready to understand the higher secrets of Scientology. 'Clamhead' is a phrase used on alt.religion.scientology to describe scientologists who believe stuff like this and explains the rash of clam jokes of alt.religion.scientology. The History of Man drifted into pure science fiction when Hubbard came to the point of explaining how thetans moved from body to body. Thetans abandoned bodies earlier than GEs, it appeared. While the GE stayed around to see the body through to death, thetans were obliged to report to a between-lives 'implant station' where they were implanted with a variety of control phases while waiting to pick up another body, sometimes in competition with other disembodied thetans. Hubbard revealed that most implant stations were on Mars, although women occasionally had to report elsewhere in the solar system and there was a 'Martian implant station somewhere in the Pyrenees'. Well, there you have it. How can we deny the genius of L. Ron Hubbard? The thoughtful and useful ideas he taught the world? His obvious deep learning and careful judgement? The certain correctness and amazing insights of the basic beliefs of Scientology? More tartar sauce with your clams? 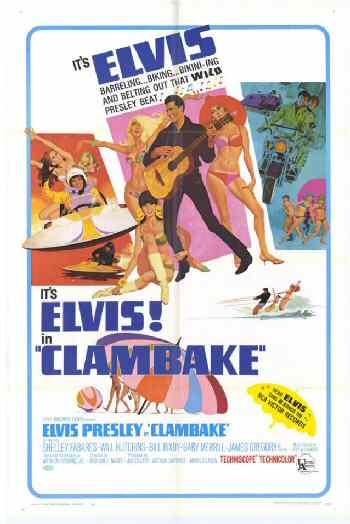 What does Clambake mean, then? A clambake is originally an outdoor party; especially a seashore outing where food is usually cooked on heated rocks covered by seaweed. It can also mean a gathering characterized by noisy sociability. "Operation" derives from the many criminal operations run by CoS, like Operation Freak Out, Operation Snow White, etc. "In my family, a 'clambake' is like a barbecue -- an outdoor party. It happens on the beach. 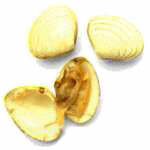 The clams are steamed, along with some vegetables (typically potatoes and maize) in a pit covered with sand. It was my 'duty', when I was five years old, to put more sand on the pit whenever the steam leaked out. That seems to be your job now." This was a real nice clambake, we're mighty glad we came. The vittles we et [ate] were good, you bet! The company was the same. Our hearts are warm, our bellies are full, and we are feeling fine. This was a real nice clambake, and we all had a real good time. According to former Elvis crony Lamar Fike, Elvis stopped dating "Mod Squad" star Peggy Lipton because she kept trying to get him to join the church. "One day, in L.A., we got in the limousine and went down to the Scientology center on Sunset, and Elvis went in and talked to them," Fike said in "Elvis Aaron Presley: Revelations from the Memphis Mafia," one of several sources who say that Presley didn't like Scientology. "We waited in the car, but apparently they started doing all these charts and crap for him. Elvis came out and said, 'F - - - those people! There's no way I'll ever get involved with that son-of-a-bitchin' group. All they want is my money.' . . . He stayed away from Scientology like it was a cobra. He'd s - - t a brick to see how far Lisa Marie's gotten into it." "How do you steam clams? Make fun of their religion." - Johnny Carson, stand-up monologue on NBC's "The Tonight Show"